It is well known that workplaces atmosphere is not the same as before. It has seen many changes and has become more innovative. There is of-course demand for better skillsets and the job seekers are expected to upgrade their skills, and more importantly present themselves accordingly. Obviously, a resume is any job seeker’s first impression, which needs to be changed – rather revamped timely –while applying for a job. Ensure to refurbish your resumes and know what to include in your resume which is very important, as it is equally essential to know what to exclude. Hiring managers and recruiters don’t have time to read through every resume minutely. Here is the check-list which could be applied as a final check, just before sending it out to the recruiters. When you apply for a job, needless to say that you are including your resume. So do you really have to spell it out for them? Including this in heading adds no value to your application. So, first thing is to delete the heading which reads “Resume” and replace it with your. Does your resume have a generic objective statement or an incoherent quote on top of it? 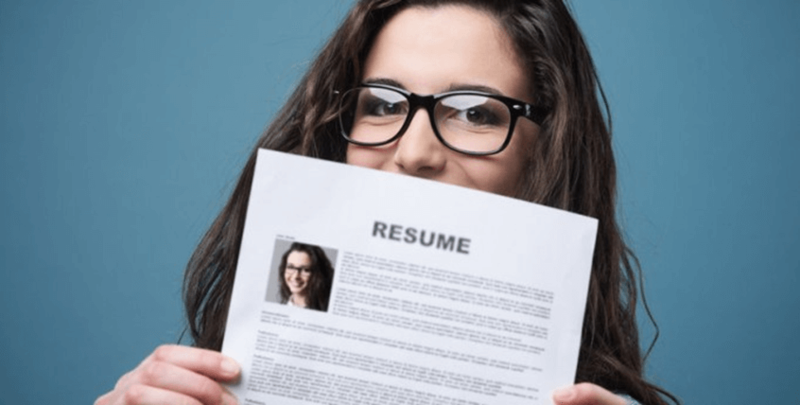 While you think that it will add depth to your resume, the reality is that the recruiters are very well aware that your resume is written to target their jobs and that you have the skills and expertise for that particular role. Stand out of the crowd by replacing the objective statement with a qualifications-based statement or introduction that highlights your offerings to the organization. Don’t mention your interest and hobbies if it has no relevance to your applied job. Enter only pertinent information here and use it wisely. A gap in work history creates a negative reflection about your work – at least in India. While there may be valid reasons for the gap, the tendency is to think otherwise. A shorter work gap can always be discussed during the course of face-to-face interview. Try to be honest during a one-on-one conversation. The past experiences of your career can be collated with one line per job showing employername, job title and dates. Try not to display details of every job. Normally, only the last five work experiences would be considered while shortlisting your resume. Remember, not the quantity but the quality of work done is all that matters. A demand or expectation on the salary aspect through the resume can be seen as too pesky by the employer and could be rejected on that basis. These are sensitive aspects which can be discussed off the record with smart communication. Mentioning too much of personal information should be avoided. The recruiter has nothing to do with your marital status, number of kids, religion, race, country of birth, passport details etc. Initially, what is required to be shared is only your Name, email Address, Contact number and Address. To give more effect to your resume, you may share the LinkedIn profile link. It’s important to have references from your previous job and these are checked only after you have been shortlisted for an interview. The business references do not belong on the resume unless specifically asked by the employer.